Bidding Ian, Sal, Maggie and Annie farewell I rode back to my uncles in Glen. Here I met his partner in crime Geraldine and helped my second cousin Harry trim hedges. Then we all were taken to lunch by my uncle for a proper catch up. After lunch I rode south to Armadale to stay with my cousin Jack and his family on their beautiful property just outside town. 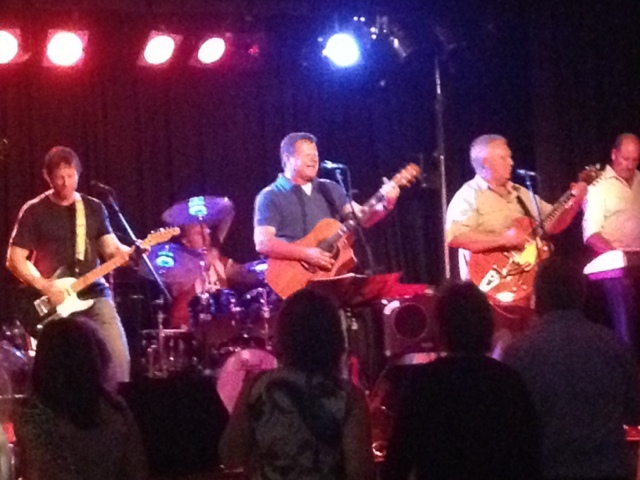 I had time the visit to coincide with jack and his band (Tex Message) playing their once a year Christmas gig in town. Although I had a splitting head ache I went in to watch them play. So glad I did, its was absolutely brilliant. My cousin is a great singer/guitarist and it bought back fond memories of playing guitar with him and his sister (my cousin) Lizzy when I used to spend my school holidays at their property 30 odd years ago. Love the Bushtucker Man look.